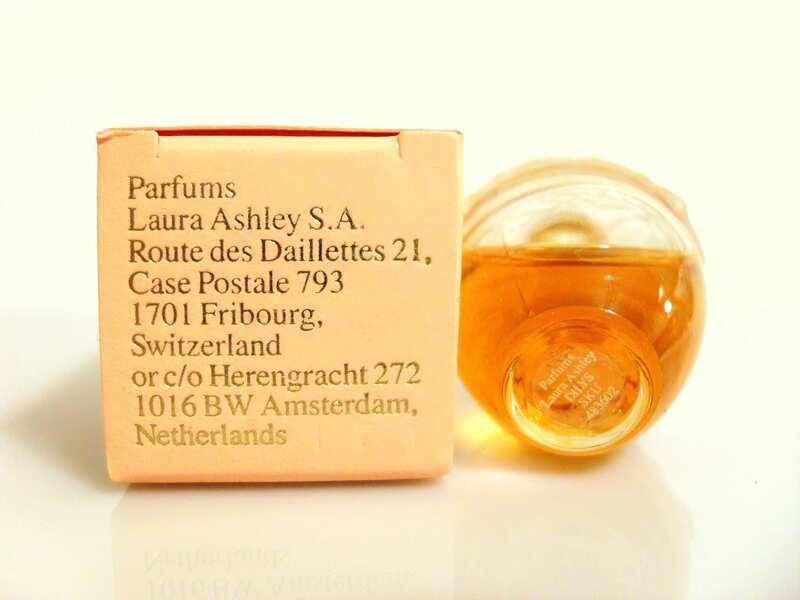 Vintage 1991 Dilys by Laura Ashley 0.17oz Eau de Parfum Splash Miniature Mini Perfume and Box. Bottle is full - please see photo for actual fill level. The perfume is old and no longer fresh. 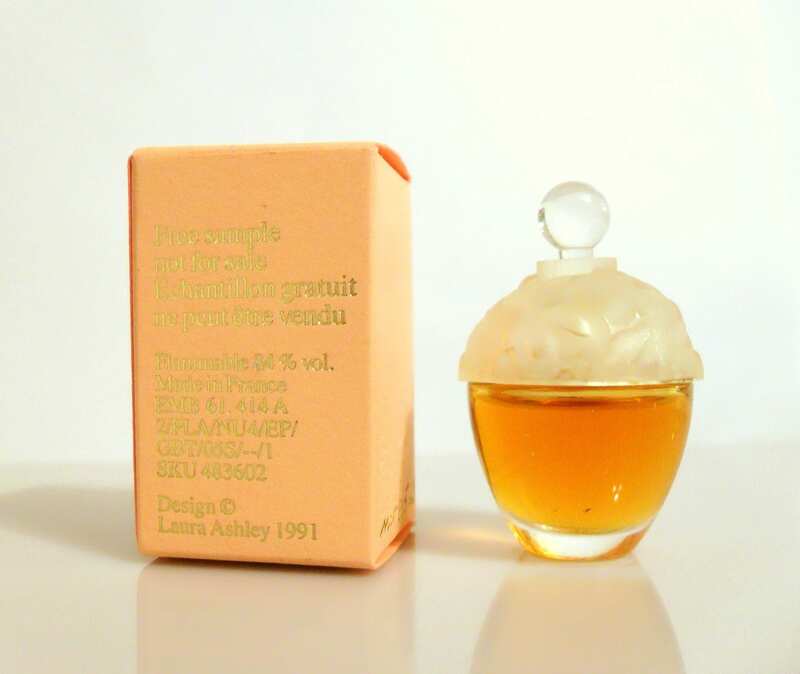 Launched in 1991, It is classified as a romantic floral fragrance for women. Dilys is a ladylike narcissus surrounding a seductive heart of ylang-ylang and tuberose. The crystal perfume bottle was designed by Serge Mansau. It is shaped like a vase with a dome of molded flowers made of frosted glass topped by a knob finial. Dilys is a discontinued perfume.